Cale Dodds, Morgan Evans, Tegan Marie, Michael Ray, and Cole Swindell brought things to an exciting end as they closed out night three at the Cracker Barrel Country Roads Stage at Nashville’s Ascend Amphitheater. 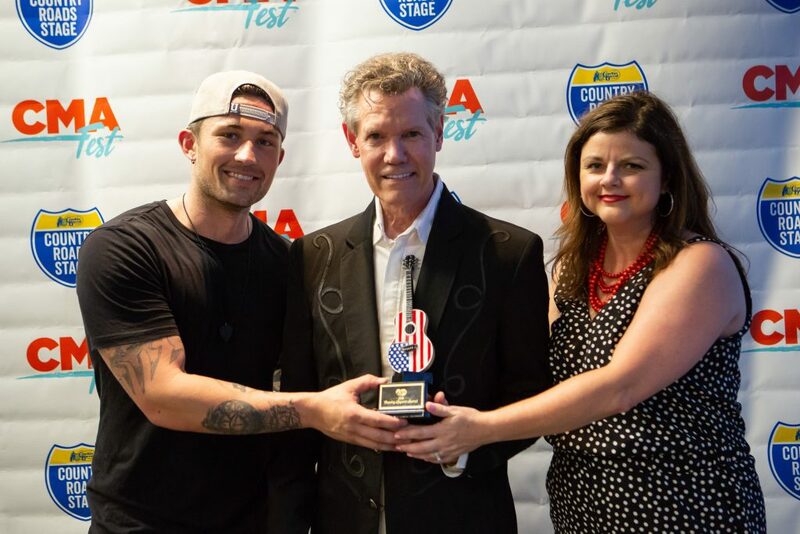 Saturday night was made even more memorable by the presentation of the inaugural Cracker Barrel Country Legend Award to the one-and-only Randy Travis, an honor given to country musicians with over 30 years in the business including past partnerships with Cracker Barrel’s music program. Storme Warren of SiriusXM’s The Highway presented Travis with the special award. Cracker Barrel also made a $5,000 donation in Travis’ name to the CMA Foundation. To further celebrate the evening’s big honoree, Michael Ray performed a moving rendition of Travis’ hit song “Forever and Ever, Amen” during his set. This night also marked the close of Cracker Barrel’s Rock With Us fundraiser, where every photo taken in a Cracker Barrel Old Country Store rocker at the festival and shared on Facebook, Twitter or Instagram using the hashtag #CBMusic between June 7 and June 9 resulted in a $1 donation from Cracker Barrel to the CMA Foundation, culminating in a $15,000 donation from the brand. For more information about the company, visit crackerbarrel.com. Randy continues to make improvements in his speaking, walking, and yes, singing. For more information please visit randytravis.com.